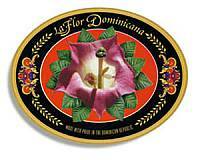 La Flor Dominicana prides themselves in making a line of cigars that ranges from mild to very rich. They are also the originators of the chisel-tipped cigars, hailed by Cigar Aficionado as "something that appears to be entirely new in the world of cigars." Their lines of cigars include the Premium Line, Reserva Especial, 2000 Series, Ligero, Double Ligero, LG Diez as well as special cigars that include Culebras, Limitado II, Gran Maduro Cabinet, Mysterio to name just a few!